Konan Club St. Francis Bushido Competes! Story from the Lakota Country Times. 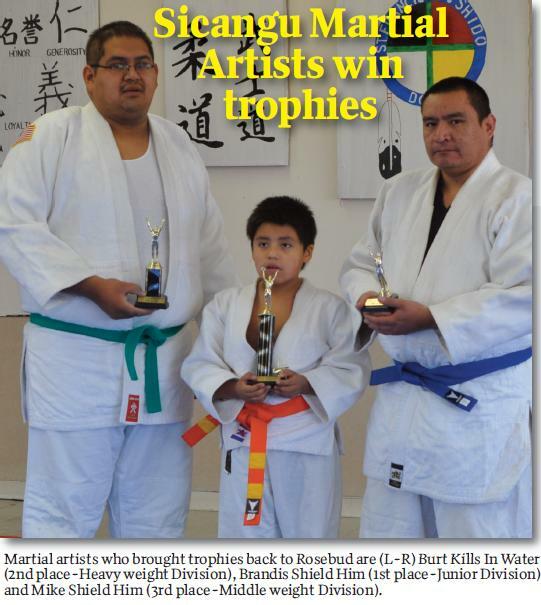 By Vi Waln Times Editor ST. FRANCIS, SD – Three members of the St. Francis Bushido Dojo competed in the Dynamic Martial Arts Grand Championship Fall Classic Tournament held in Rapid City, SD last month. Each one placed in their respective division. Brandis Shield Him brought home the first place trophy in the Junior Division. Burt Kills In Water took second place in the heavyweight division. And in the middle weight division Mike Shield Him earned the third place trophy. 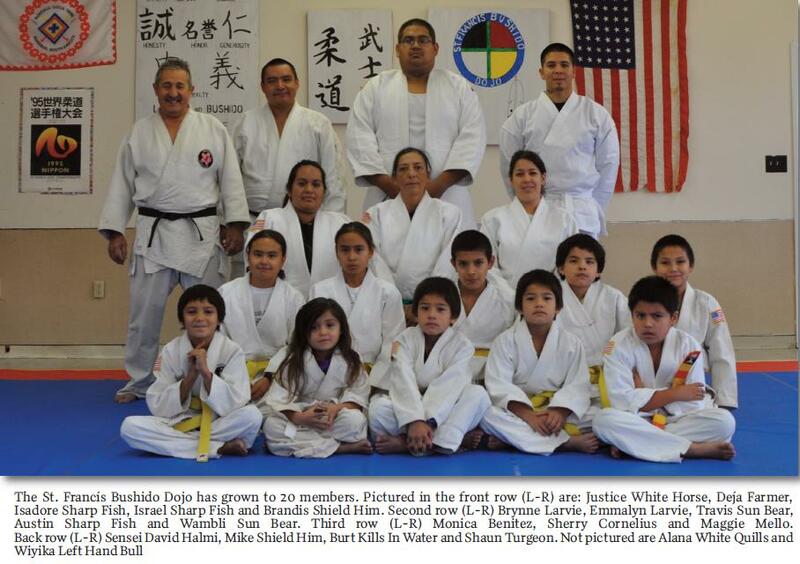 The competitors said that practicing Judo at the St. Francis Bushido Dojo every week helped them in the competition. The club is a registered member of the Konan Judo Association, Inc. The club has been in operation for overa year. The club is located in a building which formerly housed a daycare center. The building was donated by St.Francis Mission when the organization included health issues on the Rosebud Reservation as an area to address in their strategic plan. The club members practice two days a week. Practice time is used to work on strengthening the body and mind. Students practice moves and holds on a room-sized mat. Judo is a sport which requires self-discipline. One must also be physically and mentally fit. In addition, the virtues of bravery, respect, endurance, honesty, honor, generosity along with loyalty are essential in both the Lakota and Bushido Warrior Codes. Sessions are held on Saturdays and Sundays beginning at 12 noon. Students practice with great enthusiasm. Club members include Travis SunBear, Wanbli Sun Bear, Brandis Shield Him, Mike Shield Him, Justus White Horse, Brynn Larvie, Emma Larvie, Sherry Cornelius, Burt Kills In Water, Shaun Turgeon, Monica Benitez, Maggie Mello, Austin Sharpfish, Isadore Sharpfish, Israel Sharpfish, Deja Farmer, Alana White Quills and Wiyaka Left Hand Bull. Sensei David Halmi is the instructor. For more information you may call him at 747-2036. This entry was posted on December 11, 2010 at 10:23 pm and is filed under Dojo News. You can follow any responses to this entry through the RSS 2.0 feed. You can leave a response, or trackback from your own site.